author Lamoureux ex Lamoureux in Lambert et al. english name "Shaggy Legged Ringless Amanita"
intro For the time being, please see the technical tab of this page. odor/taste This mushroom has no noticeable odor or taste. spores The spores measure (9.3-) 9.5 - 11.9 (-12.0) × (8.5-) 8.9 - 10.8 (-11.5) µm and are globose to subglobose and inamyloid. Clamps are not found at bases of basidia. discussion In older publications, this mushroom was often (incorrectly) called A. ceciliae (or A. inaurata, a synonym of A. ceclieae). Amanita ceciliae is a European taxon originally described from England. There are several eastern North American taxa that may be confused with this species in the field; among these the most common appear to be A. minnesorora, A. texasorora, A. xanthomitra, and A. sp-V03. author Lamoureux ex Lamoureux in Lambert et al. 2018. MycoKeys 38: 50, fig. 1. Lamoureux nom. prov. (2006). Champignons du Québec 2: 51, fig. 14.
etymology ρακυσ, "rag" or "piece of cloth" + --πυς, "-footed" or "-legged"; hence, "rag-legged." MG734664 nrITS 19.viii.2011 Renée Lebeuf (paratype, HRL0804) ?? MK277559 nrLSU 13.vii.2004 L. L. Norvell LLN2040713-01 (RET 376-8) L. Nagy, Agaricales Diversification, Szeged Univ. 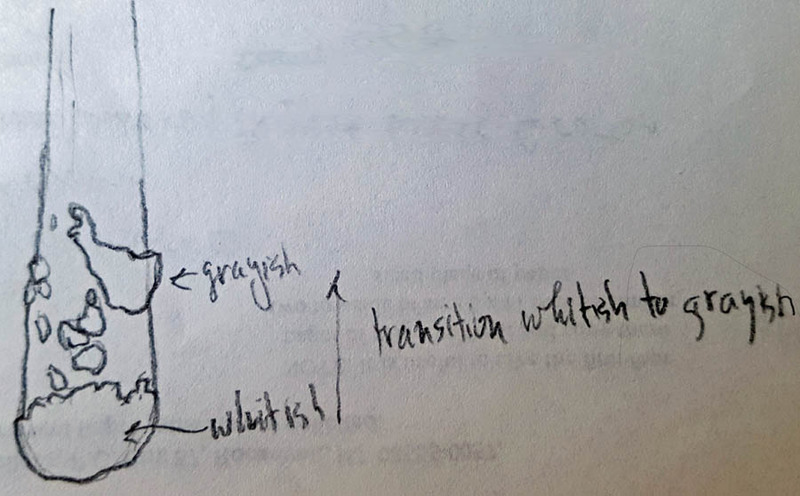 NOTE: THIS PAGE IS IN TRANSITION DUE TO SEGREGATION OF MULTIPLE TAXA BY MOLECULAR MEANS. Pages to which collections are being transferred include the following: Amanita texasorora and Amanita sp-V03. The following is based on the protolog of the present species and on molecular research of L. V. Kudzma and other original research of R. E. Tulloss. Lamoureux (2006): 40 - 80 mm wide, grayish brown to blackish, at times darkest near inner ends of marginal striations, ovoid at first then rounded-conic, eventually plano-convex and umbonate; context whitish; margin striate; universal veil absent or as gray flat remnants. RET: 57 - 85 mm wide, grayish or olivaceous brown, blackish brown over inner ends of marginal striations, becoming darker with age, sometimes darkest over disc (e.g., a bit paler than 5E6), sometimes pallid at margin, hemispheric to broadly campanulate then plano-convex or planar with depressed disc, viscid (when wet) to subviscid to subwaxy, shiny (when wet) to subshiny or subsatiny when moist, dull when dry, often tacky; context white to off-white, with grayish tinge or pale brown in narrow region under pileipellis in disc, unchanging when cut or bruised, 3 - 4.5 mm thick over stipe, thinning evenly for 60 - 75% of distance from stipe to margin, then membranous; margin striate (0.25 - 0.4R), sometimes subtuberculate-striate, nonappendiculate; universal veil absent or as small patches or large warts, whitish at first, then gray, finally dark gray, sometimes polygonal, sometimes irregularly shaped, friable, detersile. lamellae protolog: free, crowded, white to whitish, becoming grayish near pileus margin or completely greyish with age, with edges finely pulverulent; lamellulae truncate, of diverse lengths, unevenly distributed, numerous. Lamoureux (2006): white to grayish. RET: free, lacking decurrent line on stipe apex, subcrowded to crowded, off-white to pale grayish white in mass, in side view slightly grayer than adjacent pileus context and becoming grayish white with age, becoming brown on old wounds, 4.5 - 7.5 mm broad, broadest at half to three-quarters of length (from stipe), with white or whitish and minutely flocculose predominantly uncurving edge, rounded at pileus margin; lamellulae truncate to subtruncate, of diverse lengths, scattered, unevenly distributed (e.g., in one case absent from continuous arc of 15 - 20% of pileus circumference). stipe protolog: 70–120 × 7–13 mm, cylindric to slightly narrowing upward, flocculose and white first, then smooth to appressed fibrillose and whitish to grayish, at times with chevron-forming grayish fibrils; context whitish, unchanging when cut or bruised exannulate; universal veil friable, gray, with limbus internus as annulus-like remnants near stipe base. RET: 120 - 157 × 8 - 13.5 mm, white to off-white with fine gray tint from limbus internus, becoming faintly brownish from handling, narrowing upward, flaring at apex, with white pulverulence in upper part, with surface breaking up into fibrils, with fibrils usually becoming very dark (nearly black) from handling and exposure, sometimes long remaining white, with fibrils sometimes in chevrons; context white to pale creamy white, sometimes becoming faintly grayish with age, with larval tunnels concolorous when present, entirely hollow or hollow below and stuffed above, with central cylinder 5.5 - 7.5 mm wide containing sublongitudinally oriented white cottony fibrils; exannulate; universal veil in loose friable patches and horizontal bands, with those at base (within substrate) white, with highest point of volval fragment on stem 32 - 61 mm from stipe base, sometimes distributed as high as above stipe mid-point and then pale gray to gray to nearly black, often as dark gray to nearly black ring above white, "strangulate" zone, with white cupulate remant covering absolute bottom of stipe. odor/taste protolog: Odor and taste not distinctive. Lamoureux (2006): Odor indistinct. Taste not recorded. RET: Odor none or indistinct. Taste not recorded. RET: paracresol spot test for tyrosinase - postive throughout basidiome 6 min. after reagent application. syringaldazine spot test for laccase - negative throughout basidiome. Test vouchers: Tulloss 8-9-7-C, 8-30-98-C.
pileus context protolog: filamentous hyphae 4–12 μm wide, with some segments partially inflated; acrophysalides 70–170 × 15–30 μm, cylindrical to clavate, often in chains with cells of similar width; vascular hyphae 4–8.5 μm, branching, occasional and widely distributed..
RET: filamentous undifferentiated hyphae ?? μm wide, ?? ; acrophysalides ?? ; vascular hyphae rather common, 2.5 - 4.0 μm wide; clamps ??. lamella trama protolog: bilateral; filamentous undifferentiated hyphae 3–6 μm wide; inflated cells cylindro-clavate to clavate to fusiform to subfusiform, 40–65 × 7–18 μm, abundant; vascular hyphae 3–6 μm wide, sinuous, rare. subhymenium protolog: inflated cells irregularly globose to subglobose, 9–18 × 6–9 μm. basidia protolog: (50-) 60–75 × 14–16 (-18) μm, clavate, usually 4-stergimate with sterigmata 4–6 μm long, occasionally 2-sterigmate with 5–10 μm long sterigmata; clampless. RET: 46 - 73 × 9.9 - 18.5 μm, usually 4-sterigmate, occasionally 2-sterigmate in material just starting sporulation (with 2-sterigmate basidia often among broadest), with sterigmate up to 8.0 %times; 3.0 μm, with basidia arising from inflated cells and ?? ; clamps not observed. universal veil protolog: filamentous branching hyphae 3 - 7 μm wide, short[? ]; inflated cells 25 - 50 μm wide, terminal, globose, infrequently subglobose, numerous; vascular hyphae rare to absent. lamella edge tissue protolog: not described. protolog: [474/11/10] (8.4-) 9.5 - 11.7 (-14.5) × (7.9-) 9.0 – 11.1 (-13.7) μm, (Q = 1.0 – 1.1 (-1.2), Q' = 1.05), hyaline, smooth, inamyloid, cyanophilous, globose to subglobose; apiculus not described; contents monoguttulate; color in depost not recorded. Lamoureux (2006): 9.5 - 12.0 × 10.5 -11.5 μm, globose, inamyloid . RET: [80/4/4] (9.3-) 9.6 - 12.0 (-12.2) × (8.5-) 9.0 - 11.0 (-12.0) µm, (L = 10.0 - 11.3 µm; L’ = 10.7 µm; W = 9.4 - 10.5 µm; W’ = 10.0 µm; Q = (1.02-) 1.04 - 1.12 (-1.14); Q = 1.05 - 1.08; Q’ = 1.06), hyaline, colorless, thin-walled, smooth, inamyloid, globose to subglobose, adaxially flattened; apiculus sublateral, cylindric, prominent (up to 1.6 × 2.3 µm); contents monoguttulate with numerous small additional granules or (infrequently) multiguttulate; white in deposit. ecology protolog: In mountains, close to stand of Betula papyrifera in Abies balsamea and Tsuga canadensis forest. Lamoureux (2006): Under broadleaved trees. ofen in mixed forests including Abies, Betula, Birch, Fagus, Populus, and Tsuga canadensis. July to September. Occasional. RET: Solitary to subgregarious. Connecticut: In deciduous woods. Maine: At 56 m elev. In Pinus-Quercus forest or with Tsuga canadensis, Pinus strobus, and Betula. New Jersey: At 16 m elev. In dark sandy loam with Quercus spp 2 -3 days after rain. Pennsylvania: At 235 - 600 m elev. In mixed woods including Fagus grandifolia, T. canadensis, Acer, Betula, Fraxinus, etc. West Virginia: At [990 -] 1220 m elev. In wet loam of mixed forest including T. canadensis, F. grandifolia, Picea rubens, Betula, Acer, etc. material examined protolog: CANADA: ONTARIO: Algonquin Provincial Park, 29.ix.2007 M. Didukh and B. Dentinger (paratype, TRTC156853, Genbank MG734659). QUÉBEC—Grondines, Highway 40, 19.viii.2011 Renée Lebeuf (paratype, HRL0804, Genbank MG734664). Lac-Beauport, 12.vii.2008 H.Lambert (paratype, HL016). Lac-Beauport, Chemin de la Chapelle, 11.viii.2006 J. Labrecque (paratype, CMMF008929), 29.vii.2007 J. Labrecque (paratype, CMMF009640, Genbank MG734662), 29.vii.2007 J. Labrecque (CMMF009640, Genbank MG734662). Lac-Beauport, Lac Neigette nord, 24.vii.2007 J. Labrecque (paratype, CMMF009600). Mont Orford [45.3119° N/ 72.2400° W, 838 m], 11.vii.1994 (holotype, CMMF002171). Québec, Base de plein air La Découverte, 10.vii.2010 H. Lambert (paratype, HL0787); 7.vii.2013 H. Lambert (paratype, HL022). Québec, Boisé de l’aéroport, 4.viii.2007 R. Labbé (paratype, RLA30465); 15.vii.2006 R. Labbé (paratype,RLA30063). Québec, Château-Bigot, 21.is.2014 H. Lambert (HL049, Genbank MG734661), 21.ixz.2014 H. Lambert (paratype, HL049, Genbank MG734661), 21.ix.2014 H. Lambert (paratype, HL048, Genbank MG734663). Saint-Raymond, Lac Sept-Iles, 27.ix.2014 R. Lebeuf (paratype, HRL1876, Genbank MG734658). Sainte-Catherine-de-la-Jacques-Cartier, Station touristique Duchesnay (sentier 51), 7.vii.2012 H. Lambert (paratype, HL002). RET: NOTE: Only material for which DNA has been sequenced are considered confirmed to belong in the present species. Sequencing status is provided after the herbarium accession number for a given collection. 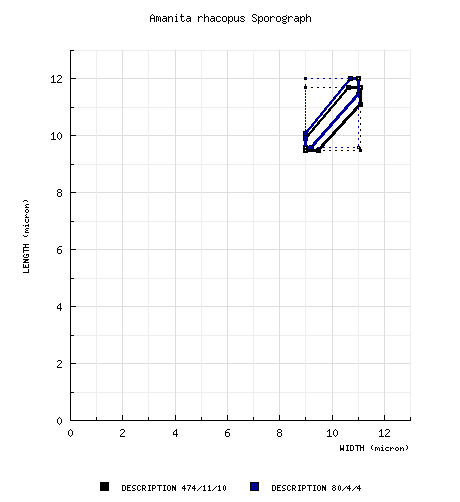 An example: "(RET 505-6, nrITS seq'd.)." CANADA: QUÉBEC—Argenteuil - Grenville-sur-la-Rouge, 17 des Frènes, 20.vii.2009 Christiane & Michel Corbeil s.n. (RET 505-6, nrITS & nrLSU seq'd.). U.S.A.: CONNECTICUT—New London Co. - Colchester, Day Pond St. Pk. [41.5569° N/ 72.4183° W, 134 m], 24.viii.2007 Jeff Miller s.n. [Tulloss 8-24-07-J] (RET 440-4, nrITS); Mystic, ca. Mystic Seaport, Pequot Woods Pk., 1.viii.2015 NEMF2015 participant s.n. [Tulloss 8-1-15-C] (RET 703-3, nrITS & nrLSU seq'd.). Middlesex Co. - Salmon River St. Pk. (northern segment), 23.viii.2008 W. Yule s.n. [Tulloss 8-23-08-D] (RET 421-1, nrITS & nrLSU seq'd.). FLORIDA—Hendry Co. - Okaloacoochee Slough St. For. [26.56625° N/ 81.31205° W, 9 m], 20.ix.2014 Ben Dion s.n. (RET 652-7, nrITS & nrLSU seq'd.). MAINE—Cumberland Co. - Brunswick, Bowdoin College, campus, 7.viii.2014 Igor Safonov s.n. [Tulloss 8-7-14-A] (RET 626-6,nrITS & nrLSU seq'd. ), 9.viii.2014 M. Bynum s.n. [Tulloss 8-9-14-C] (RET 627-10, nrITS & nrLSU seq'd. ); Pownal, Bradbury Mtn. St. Pk., 9.viii.2014 Lynn Jones s.n. [Tulloss 8-9-14-B] (RET 627-8, nrITS & nrLSU seq'd.). Lincoln Co. - Fowles Rd. aka Old Indian Rd., over wall from Gottlieb graveyard, 27.viii.1994 Martha Gottlieb s.n. (RET 686-4, nrITS seq'd.). Sagadahoc Co. - Georgetown, Reid St. Pk., 8.viii.2014 David Wasilewski s.n. [Tulloss 8-8-14-K] (RET 625-9, nrITS & nrLSU seq'd), [Tulloss 8-8-14-M] (RET 626-10, nrITS & nrLSU seq'd. ); Phippsburg, Center Pond Preserve, 8.viii.2014 G. Davis s.n. [Tulloss 8-8-14-D] (RET 626-8, nrITS & nrLSU seq'd. ), 9.viii.2014 Connie Borodenko s.n. [Tulloss 8-9-14-D] (RET 627-2, nrITS & nrLSU seq'd.). Waldo Co. - Searsport, Sears Isl. [44° 26' 35" N/ 68° 52' 39" W, ca. 45 m], 4.iv.2007 J. Dawson s.n. [Tulloss 8-10-07-B] (RET 409-10, nrITS seq'd.). York Co. - Kennebunk, Kennebunk Plains Wildlife Mgmt. Area [43.4058° N/ 70.6211° W, 56 m], 4.vii.2014 Linas Kudzma LVK14046 (RET 657-7, nrITS seq'd. ), 10.vii.2014 L. V. Kudzma LVK14071 (RET 657-2, nrITS seq'd. ); unkn. loc., 25.viii.2009 Herbert Baker s.n. [mushroomobserver #24730] (RET 449-2, nrITS seq'd.). MASSACHUSETTS—Worcester Co. - Worcester, Broad Meadow Brook Wildlife Sanctuary [42°14'29" N/ 71°46'46" W, 153 m], 13.viii.1993 Joe Arnold s.n. [Tulloss 8-13-93-A] (RET 095-8, nrITS seq'd.). MINNESOTA—Beltrami Co. - Chippewa Nat. For., Forest Tr. 3862 (Rt. 39), 25.viii.1995 D. J. McLaughlin s.n. [Tulloss 8-25-95-C] (RET 156-5). NEW JERSEY—Burlington Co. - Brendan T. Byrne St. Pk. (formerly Lebanon St. For. ), 7.ix.1986 R. E. Tulloss 9-7-86-E (RET 117-3). Mercer Co. - Hopewell Twp., off Carter Road, woods behind AT&T/Lucent research labs [40°21’39” N/ 74°43’29” W, 63 m], 22.vi.1981 R. E. Tulloss 6-22-81-C (RET 167-5), 16.vii.1982 R. E. Tulloss 7-16-82-F (RET 217-4); Washington's Crossing St. Pk., 1.vii.1984 M. A. King & D. C., M. H., & R. E. Tulloss [Tulloss 7-1-84-D] (RET 057-5). Middlesex Co. - Jamesburg, Jamesburg Twp. Pk., ca. Helmetta Pond [40.3853° N/ 74.43° W, 18 m], 29.vii.1984 R. E. Tulloss 7-29-84-I (RET 231-1), 4.viii.1990 Geoffrey G. Kibby s.n. [Tulloss 8-4-90-K] (RET 147-2), 17.vii.1991 R. E. Tulloss 7-17-91-A (RET 010-4, nrITS seq'd.). Monmouth Co. - Shark River Co. Pk. [40.205° N/ 74.0956° W, 16 m], 30.ix.1984 participant RET birthday foray s.n. [Tulloss 9-30-84-C] (RET 233-2), 9.viii.1987 NJMA foray participant s.n. [Tulloss 8-9-87-C] (RET 181-3, nrITS seq'd. ), 7.vii.1991 Mary A. King s.n. [Tulloss 7-7-91-D] (RET 003-5), 30.viii.1998 C. Conover, S. E. K. & R. E. Tulloss [Tulloss] 8-30-98-C (RET 286-10, nrITS seq'd.). Morris Co. - Mendham, Meadowood Twp. Pk. [40°47'31" N/ 74°38'43" W, 214 m], Mary A. King & R. E. Tulloss [Tulloss 7-28-84-F] (RET 051-4). Warren Co. - Stephens St. Pk., ca. lower picnic area [40°52’22” N/ 74°48’31” W], 4.viii.1996 NJMA foray participant s.n. [Tulloss 8-4-86-K] (RET 228-9). NEW YORK—Franklin Co. - Floodwood Mtn. Rd. [44.3476° N/ 74.4424° W, 501 m], 12.viii.2011 Susan Rose s.n. [Tulloss 8-12-11-A] (RET 479-4, nrLSU seq'd. ), Adam Singer s.n. [Tulloss 8-12-11-E] (RET 480-9, nrITS & nrLSU seq'd. ); Paul Smith's College campus [44°26'02" N/ 74°15'06" W, 500 m],12.viii.2011 S. Ruck s.n. [Tulloss 8-12-11-G] (RET 480-4, nrITS & nrLSU seq'd.). Ulster Co. - Wawarsing, Minnewaska St. Pk. [ca. 41°44’53” N/ 74°19’40” W, 175-250 m], 24.ix.2010 Jason Karakenian s.n. [Tulloss 9-24-10-F] (RET 585-10, nrITS seq'd. ), Patricia McNaught s.n. [Tulloss 9-24-10-G] (RET 484-10, nrITS & nrLSU seq'd.). Unkn. Co. - unkn. loc. in Ulster or Sullivan Co., 19.viii.1994 Stickel s.n. [Tulloss 8-19-94-B] (RET 129-6). NORTH CAROLINA—Dare Co. - Hatteras Isl., N of Frisco, 17.vii.1981 David C. & R. E. Tulloss 7-17-81-G (RET 170-7). PENNSYLVANIA—Carbon Co. - Hickory Run St. Pk. [41.0333° N/ 75.6920° W, 400-500 m], 11.vii.2014 David Wasilewski s.n. [mushroomobserver #169734] (RET 644-10, nrITS seq'd. ), 26.vii.2014 D. Wasilewski s.n. [mushroomobserver #171546] (RET 652-10, nrITS & nrLSU seq'd.). Luzerne Co. - Ricketts Glen St. Pk. [41.3036° N/ 76.2740° W, 400-600 m], 7.ix.2014 D. Wasilewski s.n. [mushroomobserver #177310] (RET 652-5, nrITS & nrLSU seq'd. ), s.n. [mushroomobserver #177311] (RET 652-9, nrITS & nrLSU seq'd. ); Seven Tubs Natural Area [41.2334° N/ 75.8131° W, 300-350 m], 27.vi.2014 D. Wasilewski s.n. [mushroomobserver #168805] (RET 643-6, nrITS seq'd. ), [mushroomobserver #168803] (RET 644-4, nrITS seq'd. ), [mushroomobserver #168805] (RET 644-6, nrITS seq'd. ), 24.vii.2014 D. Wasilewski s.n. [mushroomobserver #171125] (RET 643-1, nrITS seq'd. ), [mushroomobserver #171126] (RET 644-8), 2.viii.2014 D. Wasilewski s.n. [mushroomobserver #172425] (RET 652-4, nrITS & nrLSU seq'd.). McKean Co. - Kinuza Valley Tr., 23.vi.2015 Garrett Taylor s.n. [mushroomobserver #207509] (RET 695-2, nrITS seq'd.) Pike Co. - Dingman's Ferry, Pocono Environmental Education Ctr. [41°10'17" N/ 74°54'52" W, 235 m], 20.vi.1981 Mary A. King & R. E. Tulloss 6-20-81-C (RET 175-2), 24.vi.1989 NJMA foray participant s.n. [Tulloss 6-24-89-A] (RET 247-8). SOUTH CAROLINA—Oconee Co. - Seneca [34°46'09" N/ 82°57'55" W, 263 m], 28.xi.1985 R. E. Tulloss 11-28-85-C (RET 130-7). TENNESSEE—Sevier Co. - ca. Gatlinburg, GSMNP, Fork Ridge trailhead [35.590° N/ 83.6167° W, 1760 m], 13.vii.2004 L. L. Norvell LLN2040713-01 (RET 376-8, nrITS & nrLSU seq'd.) TEXAS—Hardin Co. - Big Thicket Nat. Preserve, Jack Gore Baygall Unit, 16 km N of Silsbee [30.46° N/ 94.173° W], 10.vi.2000 G. M. Mueller s.n. [Tulloss 6-10-00-G] (RET 313-3, nrITS seq'd.). VERMONT—Bennington Co. - ca. Bennington, 29.viii.1981 NEMF1981 participant s.n. [Tulloss 8-29-81-E] (RET 166-6). VIRGINIA—Unkn. Co. - Shenandoah Nat. Pk., ca. Old Rag Rd., Canyon Tr. M.P., s.d. "DH" 101 (LFCC; RET 143-10). WEST VIRGINIA—Berkeley Co. - Hedgeville, “Sleepy Hollow,” 1.viii.1976 U. Weiss s.n. (BPI 14460B). Tucker Co. - Canaan Valley St. Pk., Abe Run Tr. ca. E terminus & jct. w/ Deer Run Tr. [3939.0158° N/ 79.4636° W, 990 m], 25.vi.1996 R. E. Tulloss 6-25-96-A (RET 181-8, nrITS seq'd. ); McGowan Mtn. Rd., 18.ix.1992 Dr. R. P. Bhatt & Dr. A. Kumar FMR-3A (FWVA, as "A. cecileae"; RET 126-2, nrITS seq'd.). discussion The protolog only used comparison of nrITS sequences to distinguish the present species from others. The authors have failed to address the issue of whether there are previously described taxa for which not sequences have been derived. Since it is probable that this matter can be laid to rest, it should be addressed and a thorough argument for novelty should written. The name rhacopus was intended to refer to the dark fibers sometimes seen on the stipe of this species. 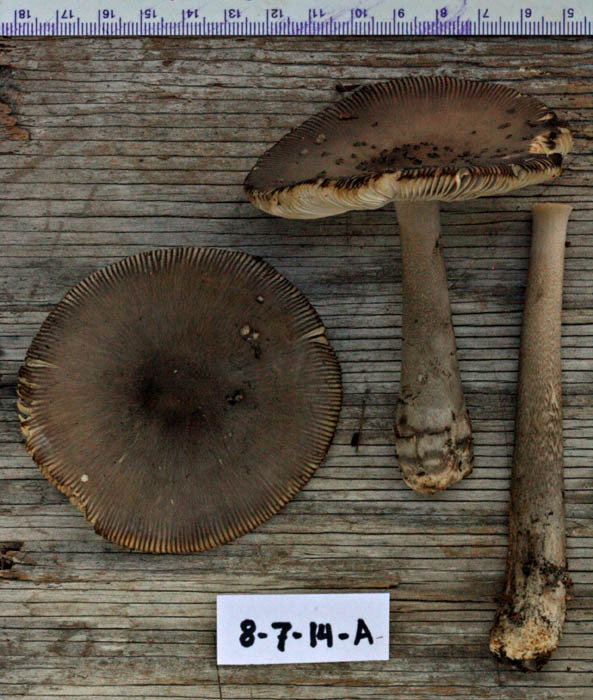 Unfortunately, Amanita texasorora has a range overlapping that of A. rhacopus, has a range of cap color very similar to that of the present species, and sometimes has dark fibrils on the stipe. At present, RET uses DNA sequences to segregate the taxa. From the range data we have collected, the two species are most likely to be distinguishable in the field only at opposite ends of the apparently shared range. Amanita rhacopus is much more common in the northern end of its range (e.g., in Québec and Maine) while A. texasorora is much more common in the southern end of its range (e.g., in Texas). The following figures compare the spore data of the present species with those of A. ceciliae (a European species of which the name has been extensively misapplied outside Europe) and A. sororcula. The reader may also wish to refer to two somewhat morphologically similar taxa with ranges apparently significantly overlapping the geographical range of A. rhacopus—A. pakimpondensis, A. sp-N59, A. sp-N61 (not well known, apparently with a thinner less manifestly felted universal veil), A. sp-QUE03, A. texasorora, and A. sp-V03. Preliminary nrITS sequence results suggest that these two taxa are genetically distinct from each other and that both are genetically distinct from A. rhacopus. Morphologically, A. sp-QUE03 is closer to the taxa such as A. sinicoflava that do not have a darkening ring of universal veil limbus internus on the lower stipe above a strangulate zone as the present species has. The code number, "A. sp-N61," was previously applied to this species. 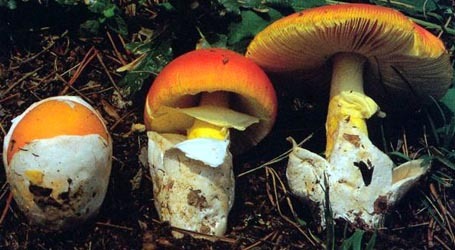 provisionally identified as: Amanita rhacopus Lamoureux ex Lamoureux in Lambert et al. select a collection to review/add spore measurements..#700782. Andrew Khitsun, #s.n., U.S.A., WISCONSIN, Adams Co., Quincy Bluff#700839. L. L. Norvell, #LLN2040713-01, U.S.A., TENNESSEE, Sevier Co., ca. Gatli..#708460. J. Dawson, #s.n.=>Tulloss 8-10-07-B, U.S.A., MAINE, Waldo Co., Searspor..#708552. Benjamin A. Maleson, #s.n.=>Tulloss 9-21-96-F, U.S.A., CONNECTICUT, Tol..#709099. R. E. Tulloss, #8-31-97-Na, U.S.A., CONNECTICUT, Tolland Co., Gay City ..#709100. R. E. Tulloss, #-Nb, U.S.A., CONNECTICUT, Tolland Co., Gay City State P..#709144. Leon Shernoff, #s.n.=>Tulloss 9-23-00-C, U.S.A., CONNECTICUT, New Londo..#709145. Jeff Miller, #s.n.=>Tulloss 8-24-07-J, U.S.A., CONNECTICUT, New London ..#709230. R. E. Tulloss, #8-24-07-I, U.S.A., CONNECTICUT, Middlesex Co., E. Hadda..#709231. R. E. Tulloss, #8-24-07-L, U.S.A., CONNECTICUT, Middlesex Co., E. Hadda..#709340. R. E. Tulloss, #8-24-07-L, U.S.A., CONNECTICUT, Middlesex Co., E. Hadda..#709415. G. M. Mueller, #s.n.=>Tulloss 6-10-00-G, U.S.A., TEXAS, Hardin Co., Big..#709496. # OLIVEFONT, U.S.A., TENNESSEE, Sevier Co., #709562. R. E. Tulloss, #7-29-84-I, U.S.A., NEW JERSEY, Middlesex Co., Jamesbur..#709563. Geoffrey G. Kibby, #s.n.=>Tulloss 8-4-90-K, U.S.A., NEW JERSEY, Middl..#709564. R. E. Tulloss, #7-17-91-A, U.S.A., NEW JERSEY, Middlesex Co., Jamesbur..#709580. L. L. Norvell, #LLN2040713-01, U.S.A., TENNESSEE, Sevier Co., ca. Gatli..#709630. Dr. R. P. Bhatt & Dr. A. Kumar, #FMR-3A, U.S.A., WEST VIRGINIA, Tucker ..#709631. Andrew Khitsun, #s.n., U.S.A., WISCONSIN, Adams Co., Quincy Bluff#709671. R. E. Tulloss, #6-25-96-A, U.S.A., WEST VIRGINIA, Tucker Co., Canaan Va..#709702. Leon Shernoff, #s.n.=>Tulloss 9-23-00-C, U.S.A., CONNECTICUT, New Londo..#709703. Jeff Miller, #s.n.=>Tulloss 8-24-07-J, U.S.A., CONNECTICUT, New London ..#712531. Christiane & Michel Corbeil, #s.n., CANADA, QUÉBEC, Unkn. Co., Grenvil..#712532. Jeff Miller, #s.n.=>Tulloss 8-24-07-J, U.S.A., CONNECTICUT, New London ..#712533. Sarah Tulloss & “Michaela”, #s.n.=>Tulloss 9-19-98-B, U.S.A., CONNE..#712534. J. Dawson, #s.n.=>Tulloss 8-10-07-B, U.S.A., MAINE, Waldo Co., Searspor..#712535. Joe Arnold, #s.n.=>Tulloss 8-13-93-A, U.S.A., MASSACHUSETTS, Worcester ..#712536. participant, #NAMA1995 s.n.=>Tulloss 8-25-95-B, U.S.A., MINNESOTA, Belt..#712537. Chippewa Nat. For., Forest Tr., #3862, U.S.A., MINNESOTA, Beltrami Co.,..#712538. D. J. McLaughlin, #s.n.=>Tulloss 8-25-95-C, U.S.A., MINNESOTA, Beltrami..#712539. participant, #NAMA1995 s.n.=>Tulloss 8-26-95-D, U.S.A., MINNESOTA, Belt..#712540. R. E. Tulloss, #9-7-86-E, U.S.A., NEW JERSEY, Burlington Co., Brendan T..#712541. R. E. Tulloss, #6-22-81-C, U.S.A., NEW JERSEY, Mercer Co., Hopewell Tow..#712542. R. E. Tulloss, #7-16-82-F, U.S.A., NEW JERSEY, Mercer Co., Hopewell Tow..#712543. M. A. King & D. C., M. H., & R. E. Tulloss, #s.n.=>Tulloss 7-1-84-D, U...#712544. R. E. Tulloss, #7-29-84-I, U.S.A., NEW JERSEY, Middlesex Co., Jamesburg..#712545. Geoffrey G. Kibby, #s.n.=>Tulloss 8-4-90-K, U.S.A., NEW JERSEY, Middle..#712546. R. E. Tulloss, #7-17-91-A, U.S.A., NEW JERSEY, Middlesex Co., Jamesburg..#712547. participant RET birthday foray, #s.n.=>Tulloss 9-30-84-C, U.S.A., NEW J..#712548. NJMA foray participant, #s.n.=>Tulloss 7-7-91-D, U.S.A., NEW JERSEY, Mo..#712549. C. Conover, S. E. K. & R. E, #s.n.=>Tulloss 7-7-91-D=>Tulloss, U.S.A., ..#712550. Mendham, Meadowood Twp. Pk., #s.n.=>Tulloss 7-28-84-F, U.S.A., NEW JERS..#712551. NJMA foray participant, #s.n.=>Tulloss 8-4-86-K, U.S.A., NEW JERSEY, Wa..#712552. Susan Rose, #s.n.=>Tulloss 8-12-11-A, U.S.A., NEW YORK, Franklin Co., F..#712553. Adam Singer, #s.n.=>Tulloss 8-12-11-E, U.S.A., NEW YORK, Franklin Co., ..#712554. S. Ruck, #s.n.=>Tulloss 8-12-11-G, U.S.A., NEW YORK, Franklin Co., Paul..#712555. Jason Karakenian, #s.n.=>Tulloss 9-24-10-F, U.S.A., NEW YORK, Ulster Co..#712556. Patricia McNaught, #s.n.=>Tulloss 9-24-10-G, U.S.A., NEW YORK, Ulster C..#712557. Stickel, #s.n.=>Tulloss 8-19-94-B, U.S.A., NEW YORK, Unkn. Co., unkn. l..#712558. David C. & R. E. Tulloss, #7-17-81-G, U.S.A., NORTH CAROLINA, Dare Co.,..#712559. Mary A. King & R. E. Tulloss, #6-20-81-C, U.S.A., PENNSYLVANIA, Pike Co..#712560. NJMA foray participant, #s.n.=>Tulloss 6-24-89-A, U.S.A., PENNSYLVANIA,..#712561. R. E. Tulloss, #11-28-85-C, U.S.A., SOUTH CAROLINA, Oconee Co., Seneca#712562. L. L. Norvell, #LLN2040713-01, U.S.A., TENNESSEE, Sevier Co., ca. Gatli..#712563. G. M. Mueller, #s.n.=>Tulloss 6-10-00-G, U.S.A., TEXAS, Hardin Co., Big..#712564. NEMF1981 participant, #s.n.=>Tulloss 8-29-81-E, U.S.A., VERMONT, Benni..#712565. "DH", #101, U.S.A., VIRGINIA, Unkn. Co., Shenandoah National Park, ca. ..#712566. U. Weiss, #s.n., U.S.A., WEST VIRGINIA, Berkeley Co., Hedgeville, “Sl..#712567. S. L. Stephenson & D. Binion, #s.n.=>Stephenson 93-04, U.S.A., WEST VIR..#712568. R. P. Bhatt, S. L. Stephenson & A. Kumar, #A6, U.S.A., WEST VIRGINIA, R..#712569. R. E. Tulloss, #6-25-96-A, U.S.A., WEST VIRGINIA, Tucker Co., Canaan Va..#712570. Dr. R. P. Bhatt & Dr. A. Kumar, #FMR-3A, U.S.A., WEST VIRGINIA, Tucker ..#718628. participant RET birthday foray, #s.n.=>Tulloss 9-30-84-C, U.S.A., NEW J..#718629. NJMA foray participant, #s.n.=>Tulloss 7-7-91-D, U.S.A., NEW JERSEY, Mo..#718630. C. Conover, S. E. K. & R. E, #s.n.=>Tulloss 7-7-91-D=>Tulloss, U.S.A., ..#724784. Christiane & Michel Corbeil, #s.n., CANADA, QUÉBEC, Unkn. Co., Grenvil..#727496. Christiane & Michel Corbeil, #s.n., CANADA, QUÉBEC, Unkn. Co., Grenvil..#727538. Sarah Tulloss & “Michaela”, #s.n.=>Tulloss 9-19-98-B, U.S.A., CONNE..#727615. Dr. R. P. Bhatt & Dr. A. Kumar, #FMR-3A, U.S.A., WEST VIRGINIA, Tucker ..#727617. Jeff Miller, #s.n.=>Tulloss 8-24-07-J, U.S.A., CONNECTICUT, New London ..#727632. participant RET birthday foray, #s.n.=>Tulloss 9-30-84-C, U.S.A., NEW J..#727633. NJMA foray participant, #s.n.=>Tulloss 7-7-91-D, U.S.A., NEW JERSEY, Mo..#727634. C. Conover, S. E. K. & R. E, #s.n.=>Tulloss 7-7-91-D=>Tulloss, U.S.A., ..#727635. Mendham, Meadowood Twp. Pk., #s.n.=>Tulloss 7-28-84-F, U.S.A., NEW JERS..#727648. G. M. Mueller, #s.n.=>Tulloss 6-10-00-G, U.S.A., TEXAS, Hardin Co., Big..#727654. R. E. Tulloss, #6-25-96-A, U.S.A., WEST VIRGINIA, Tucker Co., Canaan Va..#727655. Dr. R. P. Bhatt & Dr. A. Kumar, #FMR-3A, U.S.A., WEST VIRGINIA, Tucker ..#730591. S. L. Stephenson & D. Binion, #s.n.=>Stephenson 93-04, U.S.A., WEST VIR..#730592. R. P. Bhatt, S. L. Stephenson & A. Kumar, #A6, U.S.A., WEST VIRGINIA, R..#730597. Sarah Tulloss & “Michaela”, #s.n.=>Tulloss 9-19-98-B, U.S.A., CONNE..#733601. participant, #NAMA1995 s.n.=>Tulloss 8-26-95-D, U.S.A., MINNESOTA, Belt..#733687. participant, #NAMA1995 s.n.=>Tulloss 8-25-95-B, U.S.A., MINNESOTA, Belt..#738402. R. E. Tulloss, #7-29-84-I, U.S.A., NEW JERSEY, Middlesex Co., Jamesburg..#738403. Geoffrey G. Kibby, #s.n.=>Tulloss 8-4-90-K, U.S.A., NEW JERSEY, Middle..#738404. R. E. Tulloss, #7-17-91-A, U.S.A., NEW JERSEY, Middlesex Co., Jamesburg..#738489. R. E. Tulloss, #7-29-84-I, U.S.A., NEW JERSEY, Middlesex Co., Jamesburg..#738490. Geoffrey G. Kibby, #s.n.=>Tulloss 8-4-90-K, U.S.A., NEW JERSEY, Middle..#738491. R. E. Tulloss, #7-17-91-A, U.S.A., NEW JERSEY, Middlesex Co., Jamesburg..#738555. Linas Kudzma, #LVK14046, U.S.A., MAINE, York Co., Kennebunk, Kennebunk ..#738556. L. Kudzma, #LVK14071, U.S.A., MAINE, York Co., Kennebunk, Kennebunk Pla..#738603. R. E. Tulloss, #7-29-84-I, U.S.A., NEW JERSEY, Middlesex Co., Jamesburg..#738604. Geoffrey G. Kibby, #s.n.=>Tulloss 8-4-90-K, U.S.A., NEW JERSEY, Middle..#738605. R. E. Tulloss, #7-17-91-A, U.S.A., NEW JERSEY, Middlesex Co., Jamesburg..#738641. R. E. Tulloss, #7-29-84-I, U.S.A., NEW JERSEY, Middlesex Co., Jamesburg..#738642. Geoffrey G. Kibby, #s.n.=>Tulloss 8-4-90-K, U.S.A., NEW JERSEY, Middle..#738643. R. E. Tulloss, #7-17-91-A, U.S.A., NEW JERSEY, Middlesex Co., Jamesburg..#738682. participant RET birthday foray, #s.n.=>Tulloss 9-30-84-C, U.S.A., NEW J..#738683. NJMA foray participant, #s.n.=>Tulloss, U.S.A., NEW JERSEY, Monmouth Co..#738739. R. E. Tulloss, #6-25-96-A, U.S.A., WEST VIRGINIA, Tucker Co., Canaan Va..#738772. L. L. Norvell, #LLN2040713-01, U.S.A., TENNESSEE, Sevier Co., ca. Gatli..#738780. Jeff Miller, #s.n.=>Tulloss 8-24-07-J, U.S.A., CONNECTICUT, New London ..#738938. participant, #NAMA1995 s.n.=>Tulloss 8-25-95-B, U.S.A., MINNESOTA, Belt..#738939. Chippewa Nat. For., Forest Tr., #3862, U.S.A., MINNESOTA, Beltrami Co.,..#772180. Christiane & Michel Corbeil, #s.n., CANADA, QUÉBEC, Argenteuil, Grenvi..#772181. Jeff Miller, #s.n.=>Tulloss 8-24-07-J, U.S.A., CONNECTICUT, New London ..#772182. Sarah Tulloss & Michaela Slavid, #s.n.=>Tulloss 9-19-98-B, U.S.A., CONN..#772183. J. Dawson, #s.n.=>Tulloss 8-10-07-B, U.S.A., MAINE, Waldo Co., Searspor..#772184. Linas Kudzma, #LVK14046, U.S.A., MAINE, York Co., Kennebunk, Kennebunk ..#772185. L. Kudzma, #LVK14071, U.S.A., MAINE, York Co., Kennebunk, Kennebunk Pla..#772186. Herbert Baker, #s.n.=>mushroomobserver # 24730#773789. Sarah Tulloss & Michaela Slavid, #s.n.=>Tulloss 9-19-98-B, U.S.A., CON..#773790. Salmon River St. Pk., #s.n., U.S.A., CONNECTICUT, Middlesex Co., Salmo..#773791. Wm. Yule, #s.n.=>Tulloss 8-23-08-D, U.S.A., CONNECTICUT, Middlesex Co...#773830. Salmon River St. Pk., #s.n., U.S.A., CONNECTICUT, Middlesex Co., Sal..#773831. Wm. Yule, #s.n.=>Tulloss 8-23-08-D, U.S.A., CONNECTICUT, Middlesex Co...#773958. J. Dawson, #s.n.=>Tulloss 8-10-07-B, U.S.A., MAINE, Waldo Co., Searspor..#777422. Salmon River St. Pk., #s.n., U.S.A., CONNECTICUT, Middlesex Co., Sal..#777423. William Yule, #s.n.=>Tulloss 8-23-08-D, U.S.A., CONNECTICUT, Middlesex..#777465. Igor Safonov s.n., #s.n.=>Tulloss 8-7-14-A, U.S.A., MAINE, Cumberland ..#777669. R. E. Tulloss, #9-7-86-E, U.S.A., NEW JERSEY, Burlington Co., Brendan T..#777670. R. E. Tulloss, #6-22-81-C, U.S.A., NEW JERSEY, Mercer Co., Hopewell Tow..#777671. R. E. Tulloss, #7-16-82-F, U.S.A., NEW JERSEY, Mercer Co., Hopewell Tow..#777672. M. A. King & D. C., M. H., & R. E. Tulloss, #s.n.=>Tulloss 7-1-84-D, U...#777673. R. E. Tulloss, #7-29-84-I, U.S.A., NEW JERSEY, Middlesex Co., Jamesburg..#777674. Geoffrey G. Kibby, #s.n.=>Tulloss 8-4-90-K, U.S.A., NEW JERSEY, Middle..#777675. R. E. Tulloss, #7-17-91-A, U.S.A., NEW JERSEY, Middlesex Co., Jamesburg..#777676. participant RET birthday foray, #s.n.=>Tulloss 9-30-84-C, U.S.A., NEW J..#777677. NJMA foray participant, #s.n.=>Tulloss, U.S.A., NEW JERSEY, Monmouth Co..#777678. Mendham, Meadowood Twp. Pk., #s.n.=>Tulloss 7-28-84-F, U.S.A., NEW JERS..#777679. NJMA foray participant, #s.n.=>Tulloss 8-4-86-K, U.S.A., NEW JERSEY, Wa..#777680. Susan Rose, #s.n.=>Tulloss 8-12-11-A, U.S.A., NEW YORK, Franklin Co., F..#777681. Adam Singer, #s.n.=>Tulloss 8-12-11-E, U.S.A., NEW YORK, Franklin Co., ..#777682. S. Ruck, #s.n.=>Tulloss 8-12-11-G, U.S.A., NEW YORK, Franklin Co., Paul..#777683. Jason Karakenian, #s.n.=>Tulloss 9-24-10-F, U.S.A., NEW YORK, Ulster Co..#777684. Patricia McNaught, #s.n.=>Tulloss 9-24-10-G, U.S.A., NEW YORK, Ulster C..#777685. Stickel, #s.n.=>Tulloss 8-19-94-B, U.S.A., NEW YORK, Unkn. Co., unkn. l..#777686. David C. & R. E. Tulloss, #7-17-81-G, U.S.A., NORTH CAROLINA, Dare Co.,..#777687. Mary A. King & R. E. Tulloss, #6-20-81-C, U.S.A., PENNSYLVANIA, Pike Co..#777688. NJMA foray participant, #s.n.=>Tulloss 6-24-89-A, U.S.A., PENNSYLVANIA,..#777689. R. E. Tulloss, #11-28-85-C, U.S.A., SOUTH CAROLINA, Oconee Co., Seneca#777690. L. L. Norvell, #LLN2040713-01, U.S.A., TENNESSEE, Sevier Co., ca. Gatli..#777691. G. M. Mueller, #s.n.=>Tulloss 6-10-00-G, U.S.A., TEXAS, Hardin Co., Big..#777692. NEMF1981 participant, #s.n.=>Tulloss 8-29-81-E, U.S.A., VERMONT, Benni..#777693. "DH", #101, U.S.A., VIRGINIA, Unkn. Co., Shenandoah National Park, ca. ..#777694. U. Weiss, #s.n., U.S.A., WEST VIRGINIA, Berkeley Co., Hedgeville, “Sl..#777695. R. E. Tulloss, #6-25-96-A, U.S.A., WEST VIRGINIA, Tucker Co., Canaan Va..#777696. Dr. R. P. Bhatt & Dr. A. Kumar, #FMR-3A, U.S.A., WEST VIRGINIA, Tucker ..#777792. David Wasilewski, #s.n.=>mushroomobserver # 171125#777834. David Wasilewski, #s.n.=>mushroomobserver # 171125#777876. David Wasilewski, #s.n.=>mushroomobserver # 168805#777877. David Wasilewski, #s.n.=>mushroomobserver # 168805mushroomobserve..#777878. D. Wasilewski, #s.n.=>mushroomobserver # 171125#777920. David Wasilewski, #s.n.=>mushroomobserver # 168805#777921. David Wasilewski, #s.n.=>mushroomobserver # 168805mushroomobserve..#777922. D. Wasilewski, #s.n.=>mushroomobserver # 171125#777923. D. Wasilewski, #s.n.=>mushroomobserver # 171125mushroomobserver ..#777971. G. M. Mueller, #s.n.=>Tulloss 6-10-00-G, U.S.A., TEXAS, Hardin Co., Bi..#786151. Mary A. King & R. E. Tulloss 6-20-81-C , #s.n., U.S.A., PENNSYLVANIA,..#786152. NJMA foray participant , #s.n.=>Tulloss 6-24-89-A, U.S.A., PENNSYLVANI..#786153. R. E. Tulloss, #11-28-85-C, U.S.A., SOUTH CAROLINA, Oconee Co., Seneca..#789076. Garrett Taylor, #s.n.=>mushroomobserver # 207509#789118. Luzerne Co., #s.n., U.S.A., PENNSYLVANIA, Carbon Co., Luzerne County#789160. David Wasilewski, #s.n.=>mushroomobserver # 169734#789161. Luzerne Co., #s.n., U.S.A., PENNSYLVANIA, Carbon Co., Luzerne Count..#789203. David Wasilewski, #s.n.=>mushroomobserver # 169734#789204. D. Wasilewski , #s.n.=>mushroomobserver # 169734mushroomobserver ..#790086. D. Wasilewski s.n. , #s.n.=>mushroomobserver # 177310#790135. D. Wasilewski s.n. , #s.n.=>mushroomobserver # 177310#790136. s.n. , #s.n.=>mushroomobserver # 177310mushroomobserver # 177310<..#790646. D. Wasilewski, #s.n.=>mushroomobserver # 168805#790647. D. Wasilewski, #s.n.=>mushroomobserver # 168805mushroomobserver ..#790648. D. Wasilewski, #s.n.=>mushroomobserver # 168805mushroomobserver ..#790649. D. Wasilewski, # =>mushroomobserver # 171126#790650. D. Wasilewski s.n., # =>mushroomobserver # 171126mushroomobserver ..#795017. G. M. Mueller, #s.n.=>Tulloss 6-10-00-G, U.S.A., TEXAS, Hardin Co., Bi..#795864. David P. Lewis, #11358, U.S.A., TEXAS, Orange Co., Big Thicket Nation..#795865. NEMF1981 participant, #s.n.=>Tulloss 8-29-81-E, U.S.A., VERMONT, Benn..#795866. "DH", # 101, U.S.A., VIRGINIA, Unkn. Co., Shenandoah National Park, ca..#795953. Sarah Tulloss & Michaela Slavid, #s.n.=>Tulloss 9-19-98-B, U.S.A., CON..#795954. Salmon River St. Pk., #s.n., U.S.A., CONNECTICUT, Middlesex Co., Sal..#795955. W. Yule, #s.n.=>Tulloss 8-23-08-D, U.S.A., CONNECTICUT, Middlesex Co.,..#795956. Ben Dion, #s.n., U.S.A., FLORIDA, Hendry Co., Okaloacoochee Slough Sta..#795957. Igor Safonov s.n., #s.n.=>Tulloss 8-7-14-A, U.S.A., MAINE, Cumberland ..#795958. J. Dawson, #s.n.=>Tulloss 8-10-07-B, U.S.A., MAINE, Waldo Co., Searspo..#795959. Linas Kudzma, #LVK14046, U.S.A., MAINE, York Co., Kennebunk, Kennebun..#795960. L. V. Kudzma, #LVK14071, U.S.A., MAINE, York Co., Kennebunk, Kennebunk..#795961. Herbert Baker, #s.n.=>mushroomobserver # 24730#795962. Joe Arnold, #s.n.=>Tulloss 8-13-93-A, U.S.A., MASSACHUSETTS, Worcester ..#796561. Salmon River St. Pk., #s.n., U.S.A., CONNECTICUT, Middlesex Co., Salmo..#796721. Herbert Baker, #s.n.=>mushroomobserver # 24730#796722. Joe Arnold, #s.n.=>Tulloss 8-13-93-A, U.S.A., MASSACHUSETTS, Worcester ..#796723. Chippewa Nat. For., Forest Tr., #3862, U.S.A., MINNESOTA, Beltrami Co.,..#796724. D. J. McLaughlin, #s.n.=>Tulloss 8-25-95-C, U.S.A., MINNESOTA, Beltrami..#799873. J. Dawson, #s.n.=>Tulloss 8-10-07-B, U.S.A., MAINE, Waldo Co., Searspo..#799922. Ben Dion, #s.n., U.S.A., FLORIDA, Hendry Co., Okaloacoochee Slough Sta..#799923. Igor Safonov s.n., #s.n.=>Tulloss 8-7-14-A, U.S.A., MAINE, Cumberland ..#799925. #? ?, U.S.A., MAINE, Cumberland Co., ??#799929. G. Davis, #s.n.=>Tulloss 8-8-14-D, U.S.A., MAINE, Sagadahoc Co., Phipp..#799930. Connie Borodenko, #s.n.=>Tulloss 8-9-14-D, U.S.A., MAINE, Sagadahoc Co..#799986. G. Davis, #s.n.=>Tulloss 8-8-14-D, U.S.A., MAINE, Sagadahoc Co., Phipp..#799987. Connie Borodenko, #s.n.=>Tulloss 8-9-14-D, U.S.A., MAINE, Sagadahoc C..#801015. NEMF2015 participant, #s.n.=>Tulloss 8-1-15-C, U.S.A., CONNECTICUT, Ne..#801016. Salmon River St. Pk., #s.n., U.S.A., CONNECTICUT, Middlesex Co., Salmo..#801199. G. Davis, #s.n.=>Tulloss 8-8-14-D, U.S.A., MAINE, Sagadahoc Co., Phipp..#801200. Connie Borodenko, #s.n.=>Tulloss 8-9-14-D, U.S.A., MAINE, Sagadahoc C..#801985. G. Davis, #s.n.=>Tulloss 8-8-14-D, U.S.A., MAINE, Sagadahoc Co., Phipp..#801986. Connie Borodenko, #s.n.=>Tulloss 8-9-14-D, U.S.A., MAINE, Sagadahoc C..#803396. D. Wasilewski, #s.n.=>mushroomobserver # 168805#803397. D. Wasilewski, #s.n.=>mushroomobserver # 168805mushroomobserver ..#803398. D. Wasilewski, #s.n.=>mushroomobserver # 168805mushroomobserver ..#803399. D. Wasilewski, #s.n.=>mushroomobserver # 168805mushroomobserver ..#803400. D. Wasilewski, # =>mushroomobserver # 171126#803401. D. Wasilewski s.n., # =>mushroomobserver # 171126mushroomobserver ..#803454. D. Wasilewski, #s.n.=>mushroomobserver # 168805#803455. D. Wasilewski, #s.n.=>mushroomobserver # 168805mushroomobserver ..#803456. D. Wasilewski, #s.n.=>mushroomobserver # 168805mushroomobserver ..#803457. D. Wasilewski, #s.n.=>mushroomobserver # 168805mushroomobserver ..#803458. D. Wasilewski, # =>mushroomobserver # 171126#803459. D. Wasilewski s.n., # =>mushroomobserver # 171126mushroomobserver ..#805007. David Wasilewski, #s.n.=>mushroomobserver # 169734#805008. D. Wasilewski , #s.n.=>mushroomobserver # 169734mushroomobserver ..#805009. D. Wasilewski s.n. , #s.n.=>mushroomobserver # 177310#805010. s.n. , #s.n.=>mushroomobserver # 177310mushroomobserver # 177311<..#805011. s.n. , #s.n.=>mushroomobserver # 177310mushroomobserver # 177311<..#812605. Dr. R. P. Bhatt & Dr. A. Kumar FMR-3A, #s.n., U.S.A., WEST VIRGINIA, T..#812684. Christiane & Michel Corbeil, #s.n., CANADA, QUÉBEC, Argenteuil, Gren..#812685. Jeff Miller s.n. , #s.n.=>Tulloss 8-24-07-J, U.S.A., CONNECTICUT, New ..#812686. NEMF2015 participant s.n. , #s.n.=>Tulloss 8-1-15-C, U.S.A., CONNECTIC..#812687. W. Yule, #s.n.=>Tulloss 8-23-08-D, U.S.A., CONNECTICUT, Middlesex Co.,..#812688. Ben Dion, #s.n., U.S.A., FLORIDA, Hendry Co., Okaloacoochee Slough Sta..#812689. Igor Safonov s.n., #s.n.=>Tulloss 8-9-14-C, U.S.A., MAINE, Cumberland ..#812690. Lynn Jones, #s.n.=>Tulloss 8-9-14-B, U.S.A., MAINE, Cumberland Co., P..#812691. Martha Gottlieb, #s.n., U.S.A., MAINE, Lincoln Co., Fowles Road aka Ol..#812692. David Wasilewski, #s.n.=>Tulloss 8-8-14-M, U.S.A., MAINE, Sagadahoc Co..#812693. G. Davis, #s.n.=>Tulloss 8-9-14-D, U.S.A., MAINE, Sagadahoc Co., Phipps..#812694. J. Dawson, #s.n.=>Tulloss 8-10-07-B, U.S.A., MAINE, Waldo Co., Searspor..#812695. Linas Kudzma, #LVK14046, U.S.A., MAINE, York Co., Kennebunk// Kennebu..#812696. Herbert Baker, #s.n.=>mushroomobserver # 24730#812697. Joe Arnold s.n. , #s.n.=>Tulloss 8-13-93-A, U.S.A., MASSACHUSETTS, Wor..#812700. R. E. Tulloss 6-22-81-C, #s.n., U.S.A., NEW JERSEY, Mercer Co., Hopewe..#812702. R. E. Tulloss 7-29-84-I, #s.n.=>Tulloss 8-4-90-K, U.S.A., NEW JERSEY,..#812703. participant RET birthday foray, #s.n.=>Tulloss, U.S.A., NEW JERSEY, Mon..#812704. Mendham// Meadowood Twp. Pk., #s.n.=>Tulloss 7-28-84-F, U.S.A., NEW JE..#812706. Susan Rose, #s.n.=>Tulloss 8-12-11-E, U.S.A., NEW YORK, Franklin Co.,..#812707. S. Ruck, #s.n.=>Tulloss 8-12-11-G, U.S.A., NEW YORK, Franklin Co., Pa..#812708. Jason Karakenian, #s.n.=>Tulloss 9-24-10-G, U.S.A., NEW YORK, Ulster Co..#812711. David Wasilewski, #s.n.=>mushroomobserver # 171546#812712. D. Wasilewski s.n. , #s.n.=>mushroomobserver # 177311#812713. D. Wasilewski, #s.n.=>mushroomobserver # 172425#812714. Garrett Taylor s.n. , #s.n.=>mushroomobserver # 207509#812715. R. E. Tulloss, #11-28-85-C, U.S.A., SOUTH CAROLINA, Oconee Co., Seneca..#812716. L. L. Norvell LLN2040713-01 , #s.n., U.S.A., TENNESSEE, Sevier Co., ca..#812717. G. M. Mueller, #s.n.=>Tulloss 6-10-00-G, U.S.A., TEXAS, Hardin Co., B..#812721. R. E. Tulloss 6-25-96-A , #s.n., U.S.A., WEST VIRGINIA, Tucker Co., Ca..#812722. Dr. R. P. Bhatt & Dr. A. Kumar FMR-3A, #s.n., U.S.A., WEST VIRGINIA, T..#812839. Christiane & Michel Corbeil, #s.n., CANADA, QUÉBEC, Argenteuil, Gren..#812840. Jeff Miller s.n. , #s.n.=>Tulloss 8-24-07-J, U.S.A., CONNECTICUT, New ..#812841. NEMF2015 participant s.n. , #s.n.=>Tulloss 8-1-15-C, U.S.A., CONNECTIC..#812842. W. Yule, #s.n.=>Tulloss 8-23-08-D, U.S.A., CONNECTICUT, Middlesex Co.,..#812843. Ben Dion, #s.n., U.S.A., FLORIDA, Hendry Co., Okaloacoochee Slough Sta..#812844. Igor Safonov s.n., #s.n.=>Tulloss 8-9-14-C, U.S.A., MAINE, Cumberland ..#812845. Lynn Jones, #s.n.=>Tulloss 8-9-14-B, U.S.A., MAINE, Cumberland Co., P..#812846. Martha Gottlieb, #s.n., U.S.A., MAINE, Lincoln Co., Fowles Road aka Ol..#812847. David Wasilewski, #s.n.=>Tulloss 8-8-14-M, U.S.A., MAINE, Sagadahoc Co..#812848. G. Davis, #s.n.=>Tulloss 8-9-14-D, U.S.A., MAINE, Sagadahoc Co., Phipps..#812849. J. Dawson, #s.n.=>Tulloss 8-10-07-B, U.S.A., MAINE, Waldo Co., Searspor..#812850. Linas Kudzma, #LVK14046, U.S.A., MAINE, York Co., Kennebunk// Kennebu..#812851. Herbert Baker, #s.n.=>mushroomobserver # 24730#812852. Joe Arnold s.n. , #s.n.=>Tulloss 8-13-93-A, U.S.A., MASSACHUSETTS, Wor..#812853. D. J. McLaughlin, #s.n.=>Tulloss 8-25-95-C, U.S.A., MINNESOTA, Beltram..#812854. R. E. Tulloss, #9-7-86-E, U.S.A., NEW JERSEY, Burlington Co., Brendan T..#812855. R. E. Tulloss 6-22-81-C, #s.n., U.S.A., NEW JERSEY, Mercer Co., Hopewe..#812856. M. A. King & D. C.// M. H.// & R. E. Tulloss, #s.n.=>Tulloss 7-1-84-D,..#812857. R. E. Tulloss 7-29-84-I, #s.n.=>Tulloss 8-4-90-K, U.S.A., NEW JERSEY,..#812858. participant RET birthday foray, #s.n.=>Tulloss, U.S.A., NEW JERSEY, Mon..#812859. Mendham// Meadowood Twp. Pk., #s.n.=>Tulloss 7-28-84-F, U.S.A., NEW JE..#812860. NJMA foray participant s.n. , #s.n.=>Tulloss 8-4-86-K, U.S.A., NEW JER..#812861. Susan Rose, #s.n.=>Tulloss 8-12-11-E, U.S.A., NEW YORK, Franklin Co.,..#812862. S. Ruck, #s.n.=>Tulloss 8-12-11-G, U.S.A., NEW YORK, Franklin Co., Pa..#812863. Jason Karakenian, #s.n.=>Tulloss 9-24-10-G, U.S.A., NEW YORK, Ulster Co..#812864. Stickel, #s.n.=>Tulloss 8-19-94-B, U.S.A., NEW YORK, Unkn. Co., unkn. ..#812865. David C. & R. E. Tulloss, #7-17-81-G, U.S.A., NORTH CAROLINA, Dare Co...#812866. David Wasilewski, #s.n.=>mushroomobserver # 171546#812867. D. Wasilewski s.n. , #s.n.=>mushroomobserver # 177311#812868. D. Wasilewski, #s.n.=>mushroomobserver # 172425#812869. Garrett Taylor s.n. , #s.n.=>mushroomobserver # 207509#812870. R. E. Tulloss, #11-28-85-C, U.S.A., SOUTH CAROLINA, Oconee Co., Seneca..#812871. L. L. Norvell LLN2040713-01 , #s.n., U.S.A., TENNESSEE, Sevier Co., ca..#812872. G. M. Mueller, #s.n.=>Tulloss 6-10-00-G, U.S.A., TEXAS, Hardin Co., B..#812873. NEMF1981 participant, #s.n.=>Tulloss 8-29-81-E, U.S.A., VERMONT, Benn..#812874. "DH", # 101, U.S.A., VIRGINIA, Unkn. Co., Shenandoah National Park// c..#812875. U. Weiss s.n. , #s.n., U.S.A., WEST VIRGINIA, Berkeley Co., Hedgeville..#812876. R. E. Tulloss 6-25-96-A , #s.n., U.S.A., WEST VIRGINIA, Tucker Co., Ca..#812877. Dr. R. P. Bhatt & Dr. A. Kumar FMR-3A, #s.n., U.S.A., WEST VIRGINIA, T..#815141. Jeff Miller s.n. , #s.n.=>Tulloss 8-24-07-J, U.S.A., CONNECTICUT, New ..#815142. NEMF2015 participant s.n. , #s.n.=>Tulloss 8-1-15-C, U.S.A., CONNECTIC..#815199. Jeff Miller s.n. , #s.n.=>Tulloss 8-24-07-J, U.S.A., CONNECTICUT, New ..#815200. NEMF2015 participant s.n. , #s.n.=>Tulloss 8-1-15-C, U.S.A., CONNECTIC..#817202. Jeff Miller s.n. , #s.n.=>Tulloss 8-24-07-J, U.S.A., CONNECTICUT, New ..#817206. Ben Dion, #s.n., U.S.A., FLORIDA, Hendry Co., Okaloacoochee Slough Sta..#817215. J. Dawson, #s.n.=>Tulloss 8-10-07-B, U.S.A., MAINE, Waldo Co., Searspor..#817216. Linas Kudzma, #LVK14046, U.S.A., MAINE, York Co., Kennebunk, Kennebun..#817217. L. V. Kudzma, #LVK14071, U.S.A., MAINE, York Co., Kennebunk, Kennebunk..#817219. Joe Arnold s.n. , #s.n.=>Tulloss 8-13-93-A, U.S.A., MASSACHUSETTS, Wor..#817223. R. E. Tulloss 6-22-81-C, #s.n., U.S.A., NEW JERSEY, Mercer Co., Hopewe..#817224. R. E. Tulloss 7-16-82-F, #s.n., U.S.A., NEW JERSEY, Mercer Co., Hopewe..#817226. R. E. Tulloss 7-29-84-I, #s.n., U.S.A., NEW JERSEY, Middlesex Co., Ja..#817227. Geoffrey G. Kibby, #s.n.=>Tulloss 8-4-90-K, U.S.A., NEW JERSEY, Middl..#817228. R. E. Tulloss 7-17-91-A , #s.n.=>Tulloss 8-4-90-K, U.S.A., NEW JERSEY..#817229. participant RET birthday foray, #s.n.=>Tulloss 9-30-84-C, U.S.A., NEW J..#817230. NJMA foray participant, #s.n.=>Tulloss, U.S.A., NEW JERSEY, Monmouth Co..#817231. Mendham, Meadowood Twp. Pk., #s.n.=>Tulloss 7-28-84-F, U.S.A., NEW JER..#817232. NJMA foray participant s.n. , #s.n.=>Tulloss 8-4-86-K, U.S.A., NEW JER..#817233. Susan Rose, #s.n.=>Tulloss 8-12-11-A, U.S.A., NEW YORK, Franklin Co., ..#817234. Adam Singer, #s.n.=>Tulloss 8-12-11-E, U.S.A., NEW YORK, Franklin Co.,..#817235. S. Ruck, #s.n.=>Tulloss 8-12-11-G, U.S.A., NEW YORK, Franklin Co., Pa..#817236. Jason Karakenian, #s.n.=>Tulloss 9-24-10-F, U.S.A., NEW YORK, Ulster C..#817237. Patricia McNaught, #s.n.=>Tulloss 9-24-10-G, U.S.A., NEW YORK, Ulster ..#817240. David Wasilewski, #s.n.=>mushroomobserver # 169734#817241. D. Wasilewski , #s.n.=>mushroomobserver # 169734mushroomobserver ..#817242. D. Wasilewski s.n. , #s.n.=>mushroomobserver # 177310#817243. s.n. , #s.n.=>mushroomobserver # 177310mushroomobserver # 177311<..#817244. D. Wasilewski, #s.n.=>mushroomobserver # 168805#817245. D. Wasilewski, #s.n.=>mushroomobserver # 168805mushroomobserver ..#817246. D. Wasilewski, #s.n.=>mushroomobserver # 168805mushroomobserver ..#817247. D. Wasilewski, #s.n.=>mushroomobserver # 168805mushroomobserver ..#817248. D. Wasilewski, # =>mushroomobserver # 171126#817249. D. Wasilewski s.n., # =>mushroomobserver # 171126mushroomobserver ..#817251. R. E. Tulloss, #11-28-85-C, U.S.A., SOUTH CAROLINA, Oconee Co., Seneca..#817252. L. L. Norvell LLN2040713-01 , #s.n., U.S.A., TENNESSEE, Sevier Co., ca..#817253. G. M. Mueller, #s.n.=>Tulloss 6-10-00-G, U.S.A., TEXAS, Hardin Co., B..#817257. R. E. Tulloss 6-25-96-A , #s.n., U.S.A., WEST VIRGINIA, Tucker Co., Ca..#817259. Christiane & Michel Corbeil, #s.n., CANADA, QUÉBEC, Argenteuil, Gren..#817260. Jeff Miller s.n. , #s.n.=>Tulloss 8-24-07-J, U.S.A., CONNECTICUT, New ..#817261. NEMF2015 participant s.n. , #s.n.=>Tulloss 8-1-15-C, U.S.A., CONNECTIC..#817262. Salmon River St. Pk., #s.n., U.S.A., CONNECTICUT, Middlesex Co., Salmo..#817263. W. Yule, #s.n.=>Tulloss 8-23-08-D, U.S.A., CONNECTICUT, Middlesex Co.,..#817264. Ben Dion, #s.n., U.S.A., FLORIDA, Hendry Co., Okaloacoochee Slough Sta..#817265. Igor Safonov s.n., #s.n.=>Tulloss 8-7-14-A, U.S.A., MAINE, Cumberland ..#817266. M. Bynum, #s.n.=>Tulloss 8-9-14-C, U.S.A., MAINE, Cumberland Co., Brun..#817267. Lynn Jones, #s.n.=>Tulloss 8-9-14-B, U.S.A., MAINE, Cumberland Co., P..#817268. Martha Gottlieb, #s.n., U.S.A., MAINE, Lincoln Co., Fowles Road aka Ol..#817269. David Wasilewski, #s.n.=>Tulloss 8-8-14-K, U.S.A., MAINE, Sagadahoc Co..#817270. David Wasilewski, #s.n.=>Tulloss 8-8-14-K=>Tulloss 8-8-14-M, U.S.A., M..#817271. G. Davis, #s.n.=>Tulloss 8-8-14-D, U.S.A., MAINE, Sagadahoc Co., Phipp..#817272. Connie Borodenko, #s.n.=>Tulloss 8-9-14-D, U.S.A., MAINE, Sagadahoc Co..#817273. J. Dawson, #s.n.=>Tulloss 8-10-07-B, U.S.A., MAINE, Waldo Co., Searspor..#817274. Linas Kudzma, #LVK14046, U.S.A., MAINE, York Co., Kennebunk, Kennebun..#817275. L. V. Kudzma, #LVK14071, U.S.A., MAINE, York Co., Kennebunk, Kennebunk..#817276. Herbert Baker, #s.n.=>mushroomobserver # 24730#817277. Joe Arnold s.n. , #s.n.=>Tulloss 8-13-93-A, U.S.A., MASSACHUSETTS, Wor..#817278. Chippewa Nat. For., Forest Tr., #3862, U.S.A., MINNESOTA, Beltrami Co...#817279. D. J. McLaughlin, #s.n.=>Tulloss 8-25-95-C, U.S.A., MINNESOTA, Beltram..#817280. R. E. Tulloss, #9-7-86-E, U.S.A., NEW JERSEY, Burlington Co., Brendan T..#817281. R. E. Tulloss 6-22-81-C, #s.n., U.S.A., NEW JERSEY, Mercer Co., Hopewe..#817282. R. E. Tulloss 7-16-82-F, #s.n., U.S.A., NEW JERSEY, Mercer Co., Hopewe..#817283. M. A. King & D. C., M. H., & R. E. Tulloss, #s.n.=>Tulloss 7-1-84-D, U..#817284. R. E. Tulloss 7-29-84-I, #s.n., U.S.A., NEW JERSEY, Middlesex Co., Ja..#817285. Geoffrey G. Kibby, #s.n.=>Tulloss 8-4-90-K, U.S.A., NEW JERSEY, Middl..#817286. R. E. Tulloss 7-17-91-A , #s.n.=>Tulloss 8-4-90-K, U.S.A., NEW JERSEY..#817287. participant RET birthday foray, #s.n.=>Tulloss 9-30-84-C, U.S.A., NEW J..#817288. NJMA foray participant, #s.n.=>Tulloss, U.S.A., NEW JERSEY, Monmouth Co..#817289. Mendham, Meadowood Twp. Pk., #s.n.=>Tulloss 7-28-84-F, U.S.A., NEW JER..#817290. NJMA foray participant s.n. , #s.n.=>Tulloss 8-4-86-K, U.S.A., NEW JER..#817291. Susan Rose, #s.n.=>Tulloss 8-12-11-A, U.S.A., NEW YORK, Franklin Co., ..#817292. Adam Singer, #s.n.=>Tulloss 8-12-11-E, U.S.A., NEW YORK, Franklin Co.,..#817293. S. Ruck, #s.n.=>Tulloss 8-12-11-G, U.S.A., NEW YORK, Franklin Co., Pa..#817294. Jason Karakenian, #s.n.=>Tulloss 9-24-10-F, U.S.A., NEW YORK, Ulster C..#817295. Patricia McNaught, #s.n.=>Tulloss 9-24-10-G, U.S.A., NEW YORK, Ulster ..#817296. Stickel, #s.n.=>Tulloss 8-19-94-B, U.S.A., NEW YORK, Unkn. Co., unkn. ..#817297. David C. & R. E. Tulloss, #7-17-81-G, U.S.A., NORTH CAROLINA, Dare Co...#817298. David Wasilewski, #s.n.=>mushroomobserver # 169734#817299. D. Wasilewski , #s.n.=>mushroomobserver # 169734mushroomobserver ..#817300. D. Wasilewski s.n. , #s.n.=>mushroomobserver # 177310#817301. s.n. , #s.n.=>mushroomobserver # 177310mushroomobserver # 177311<..#817302. D. Wasilewski, #s.n.=>mushroomobserver # 168805#817303. D. Wasilewski, #s.n.=>mushroomobserver # 168805mushroomobserver ..#817304. D. Wasilewski, #s.n.=>mushroomobserver # 168805mushroomobserver ..#817305. D. Wasilewski, #s.n.=>mushroomobserver # 168805mushroomobserver ..#817306. D. Wasilewski, # =>mushroomobserver # 171126#817307. D. Wasilewski s.n., # =>mushroomobserver # 171126mushroomobserver ..#817308. Garrett Taylor s.n. , #s.n.=>mushroomobserver # 207509#817309. R. E. Tulloss, #11-28-85-C, U.S.A., SOUTH CAROLINA, Oconee Co., Seneca..#817310. L. L. Norvell LLN2040713-01 , #s.n., U.S.A., TENNESSEE, Sevier Co., ca..#817311. G. M. Mueller, #s.n.=>Tulloss 6-10-00-G, U.S.A., TEXAS, Hardin Co., B..#817312. NEMF1981 participant, #s.n.=>Tulloss 8-29-81-E, U.S.A., VERMONT, Benn..#817313. "DH", # 101, U.S.A., VIRGINIA, Unkn. Co., Shenandoah National Park, ca..#817314. U. Weiss s.n. , #s.n., U.S.A., WEST VIRGINIA, Berkeley Co., Hedgeville..#817315. R. E. Tulloss 6-25-96-A , #s.n., U.S.A., WEST VIRGINIA, Tucker Co., Ca..#817316. Dr. R. P. Bhatt & Dr. A. Kumar FMR-3A, #s.n., U.S.A., WEST VIRGINIA, T..